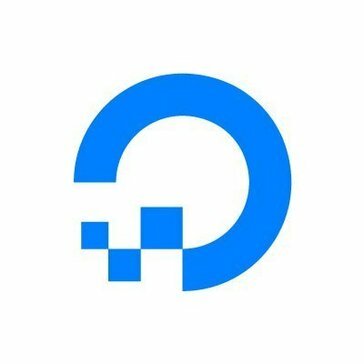 Work for Digital Ocean Block Storage? Learning about Digital Ocean Block Storage? "Seamless Integration into existing DigitalOcean Droplets, awesome UI!" DigitalOcean has done it again! Block storage can be compared to volumes offered on other cloud computing services. The UI is awesome, volumes are super easy to integrate into existing Droplets, pricing is super straight-forward and transparent, and volumes are super flexible, from 200GB to 16TB SSDs. The pricing is competitive and it takes very little time to attach these volumes. For companies/startups that already have their cloud computing platform hosted on DigitalOcean's services, this product is a seamless addition to your services. It is quite literally "one click" to add a volume/block to an existing Droplet, and the downtime for your services is really minimal since DigitalOcean makes their UI super simple and clean and all of their products incredibly intuitive. The pricing is also competitive with other existing cloud computing services, so choosing DigitalOcean is really a no-brainer. We used the block storage DigitalOcean offers to scale up our smaller-performance Droplets to have more storage/volumes. This allowed for keeping data locally instead of having to access it through an external service, like S3 Buckets (DigitalOcean's "Spaces" product). The fact that these volumes are also hosted on DigitalOcean's cloud computing platform made it super easy to integrate into our backend services without having to spend a significant amount of time setting up a service like Amazon Web Services or Google Cloud Platform. * We monitor all Digital Ocean Block Storage reviews to prevent fraudulent reviews and keep review quality high. We do not post reviews by company employees or direct competitors. Validated reviews require the user to submit a screenshot of the product containing their user ID, in order to verify a user is an actual user of the product. Hi there! Are you looking to implement a solution like Digital Ocean Block Storage?